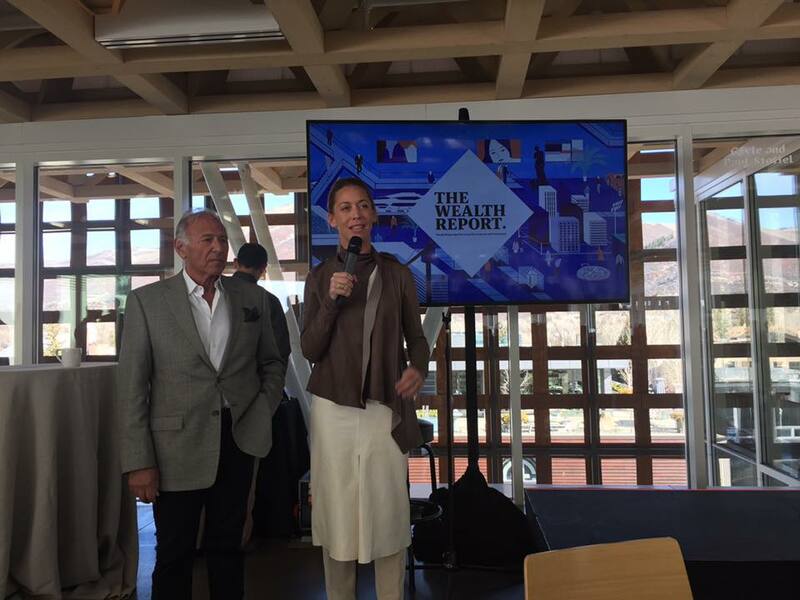 Internationally known Knight Frank / Douglas Elliman was hosted by Aspen's DE Principal in Charge - Joshua Saslove and supported by Chairman Howard Lorber, Stephen Kotler Chief Revenue Officer, Dotty and Nicole . The keynote speakers were STEVE wick narrator keynote speaker Jim jones and Jan jones from Knight Frank United Kingdom. Panel guests net Jets and equity guy. The topic was the flight of wealth the patterns. Putting things into prospective if the wealthiest have 100 m yachts, 50-75 million aircraft including billion dollar art collections and fine stones why would they only be living in a 20m dollar house where they spend more days that in the air or on the sea. The power and value of real estate has been overlooked and with 50-75 million dollar apartments in NYC and now a record high sale of 260. Developers on the west cost are venture out and one is building a 100m 250m and 500 million. The wealthy are not affected but the low oil prices or a 30 % drop in the market As the are protecting the 70% and its growing exceptionally. It's the movement of wealth and flight patterns that you have you gripping your chair... And clicking in over 8,000 flights (without diversions) into Aspen's Internationally know SRdy airport annually will open ones eyes to why. Safe haven, quiality of life, heavily funded school system in a LEED Green building and complemented by the rooted foundation and massive state of the art infrastructure systems of Aspen Valley Hospital. How lucky we are to be be here and enjoy the essence of the safe haven for your family and ones you love for generations to come. Stimulating and energetic to to core of ones sole!